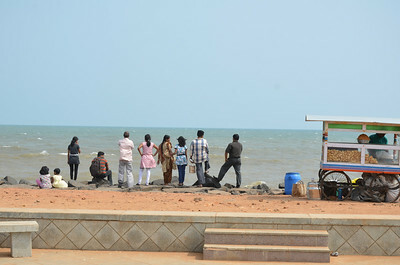 Pondicherry has four main beaches which are very popular with tourists and locals alike.They are Promenade beach, Paradise beach, Serinity beach and Auroville beach. 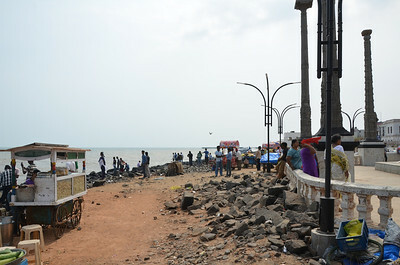 Promenade beach is the most popular beach in Pondicherry. 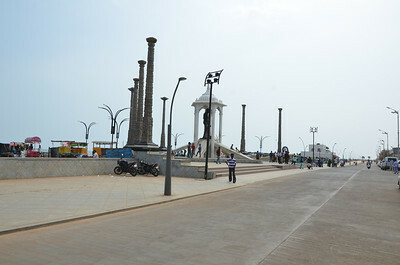 A 1.5 km long road (Beach road or Goubert Avenue) runs parallel to the beach. The whole city is in walking distance from the beach. 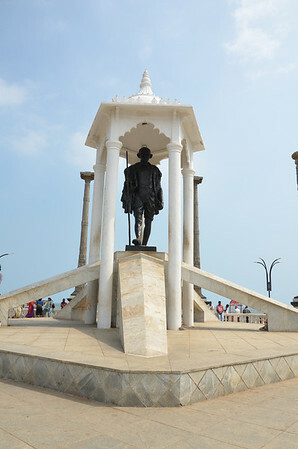 On the sea front are several landmarks such as the War Memorial, the Statue of Joan of Arc, the Heritage Town hall, the Statue of Mahatma Gandhi, Dupleix(Joseph François Dupleix) statue, the Old Light House, the Old Customs House etc. 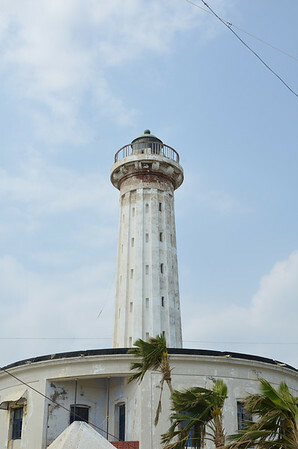 The tourist information centre is situated in the heritage building facing the sea.Paradise beach is located 8 km from the town, along the Pondicherry-Cuddalore Highway. This beach can be accessed from the Chunnambar Resort. Flanked by a quiet flowing creek on one side, the beach can only be accessed by boat. Auroville beach is close to Auroville. 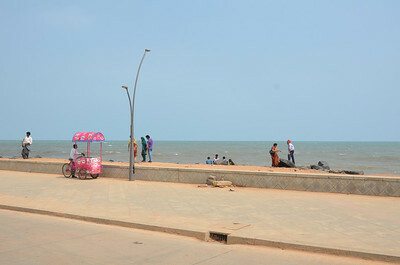 It is right off the East Coast Road, opposite the road leading to Auroville. 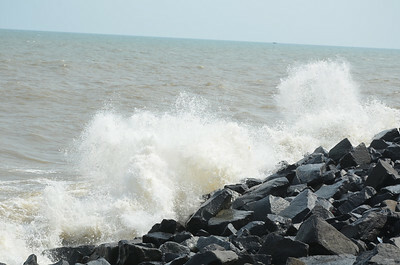 Located around 12 km from the main Pondicherry town, its shallow waters and small waves make it a popular place for swimming. Serenity beach is a ten minute drive to the north of the town. 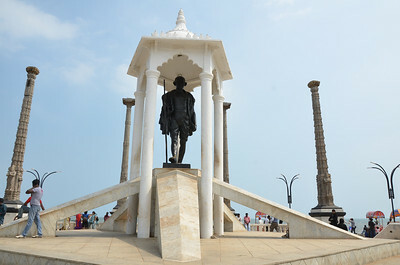 Puducherry formerly, Pondicherry is a Union Territory of India. 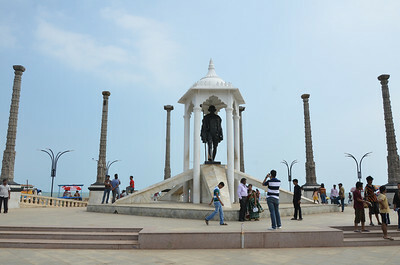 It is a former French colony, consisting of four non-contiguous enclaves, or districts, and named for the largest, Pondicherry. 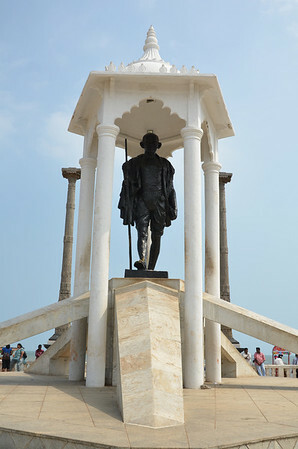 In September 2006, the territory changed its official name from Pondicherry to Puducherry, which means "New village" in the Tamil language. The territory is called Pondichéry in French. It is also known as "The French Riviera of the East". 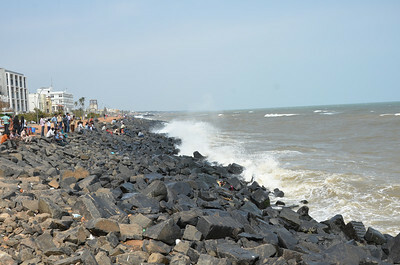 Pondicherry consists of four small unconnected districts: Pondicherry, Karaikal and Yanam on the Bay of Bengal and Mahé on the Arabian Sea. 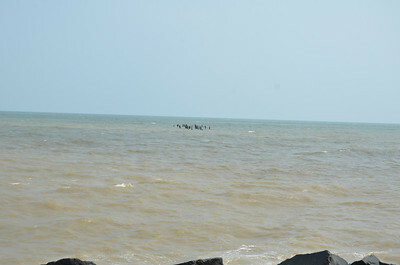 Pondicherry and Karaikal are by far the larger ones and are both enclaves of Tamil Nadu. Yanam and Mahé are enclaves of Andhra Pradesh and Kerala respectively. 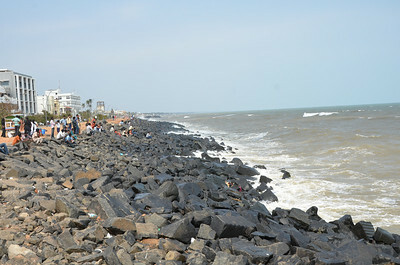 The territory has a total area of 492 km²: Pondicherry (city) 293 km², Karaikal 160 km², Mahé 9 km² and Yanam 30 km². It has 900,000 inhabitants (2001). 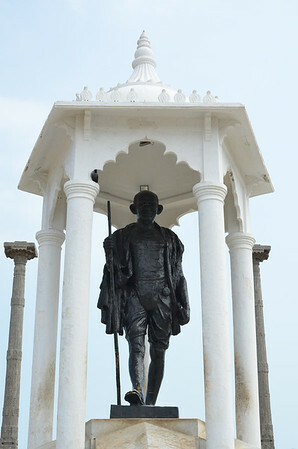 Puducherry is a Union Territory of India, not a separate state, which implies that the governance and administration of the territory falls directly under the federal authority in New Delhi. 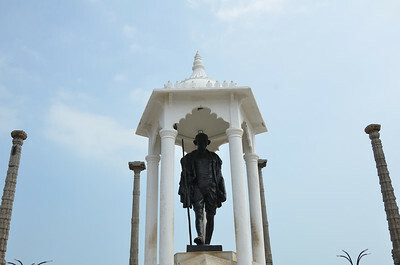 However, along with Delhi, Pondicherry is one of the two union territories in India which is entitled by special constitutional amendments to have an elected legislative assembly and a cabinet of ministers, thereby enjoying partial statehood powers. Under the special provision, the government is permitted to make laws with respect to specific matters. In many cases, such legislation may require the ratification from the federal government or the assent of the President of India. According to the Treaty of Cession of 1956, the four former French colonies in India were assured of maintaining their special administrative status. That is why Pondicherry is the only Union Territory with some special provisions like Legislative Assembly, French is an official language, etc.